Charles William O’Neill (1881-1963) – Temple Lodge, No.33, Duncan, B.C. 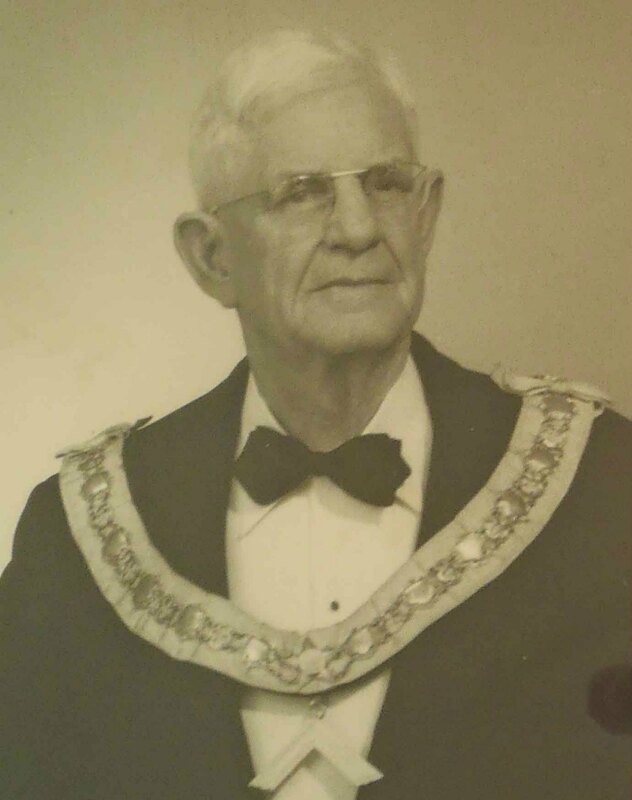 Charles William O’Neill (1881-1963) was Worshipful Master of Temple Lodge, No.33 in 1919. 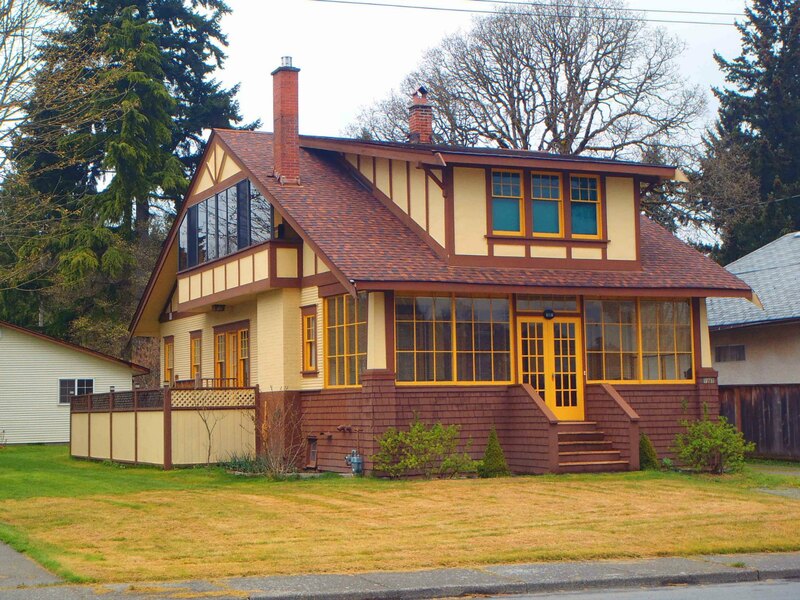 He was also a charter member of Tzouhalem Chapter, No.26 in 1928 and we believe that the initial meeting to discuss formation of the chapter was held in Charles W. O’Neill’s house, which is still standing at 1087 Islay Street, Duncan, B.C. Charles William O’Neill was Worshipful Master of Temple Lodge, No.33 in 1919 (photo copyright Temple Lodge, No.33). 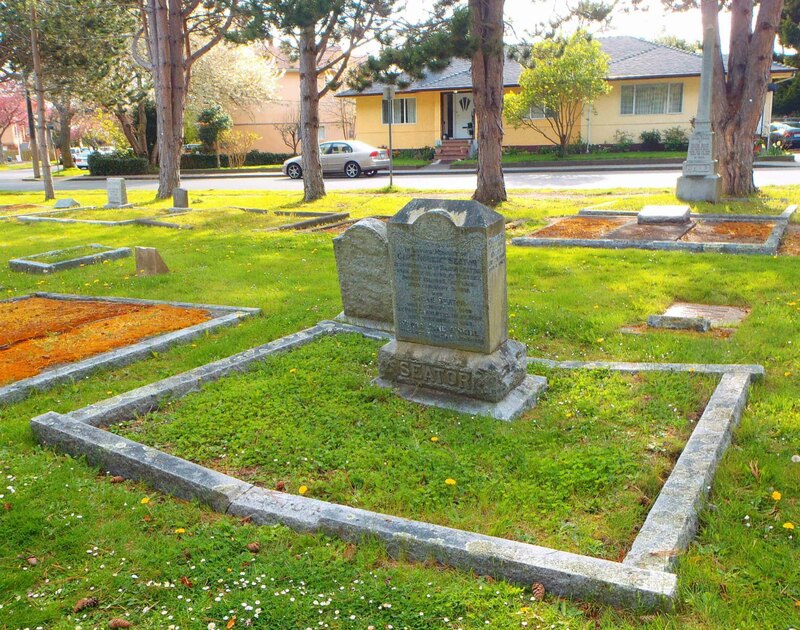 “One of the early residents of Hospital Hill section of Duncan, Charles William O’Neill, died on Monday after more than 42 years residence in the home on Islay Street, built when he moved to Duncan in 1920. He had worked in Duncan from 1911-14, being brought here originally to audit the books of the former Cowichan Merchants Ltd., by a Victoria auditing firm by whom he was employed. Mr. O’Neill was born at Port Colborne, Ontario, in 1881, and as a young man studied stenography at Shaw Business College, Toronto. He went on to accountancy, had a particular liking for setting up bookkeeping requirements for individual businesses and was employed in law offices, gaining knowledge that served him well in later years. In the fall of 1913 he married the former Flora Jane Seator from Chicago. She predeceased him in 1939. Last July Mr. O’Neill sold his business to J.H. Whittome and Co. Ltd., and was honored at a dinner by officials of the Phoenix of London insurance group whose agent he had been since 1938. He was an ardent fisherman and golfer and although over eighty he still enjoyed gardening. He was past master of Temple Lodge, No. 33, A.F. & A.M., past first principal of Tzouhalem Chapter, a 50-year Mason in the Blue Lodge and a charter member and past exalted ruler of Duncan Elks Lodge. Mr. O’Neill’s interest in the Rotary Club gave him the office of past chairman of the Canadian advisory committee of Rotary International. He was the last resident charter member of the Duncan club which he served as president in 1936-37. The Order of the Eastern Star also benefited from his membership and interest. He served as past grand patron of the grand lodge of B.C., and was chairman of the jurisprudence committee of the grand chapter as well. Mr. O’Neill had no children. He leaves one brother, Dr. John J. O’Neill, Ottawa; one nephew, Melville H. O’Neill, Ottawa, and two nieces, Mrs. Warren C. Riegle, Memphis, Tenn.; and Mrs. Nicholas Pahlen, Oakville, Ontario. 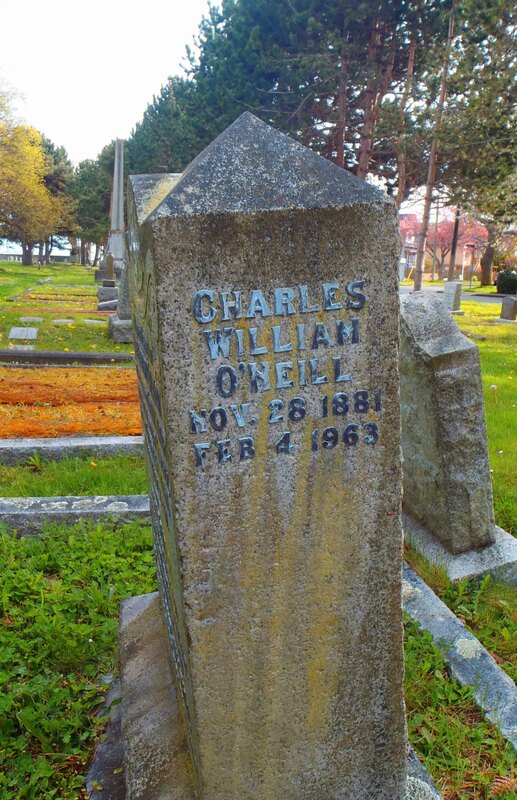 Charles William O’Neill is buried in Ross Bay Cemetery, Victoria, B.C. Charles William O’Neill grave, Ross Bay cemetery, Victoria, B.C. Charles William O’Neill grave inscription, Ross Bay cemetery, Victoria, B.C.